The Beauty Scoop: Hydrate and SAVE With beautystoredepot! Hope everyone is having an AMAZING 2014 so far! Starting today through 1/13/14 you can save 20% on Skin Care Items AND Moisturizers! Just use code: PROTECT20 at checkout. This is the perfect time for this sale as most of us are struggling with moisture issues with the dry winter months. 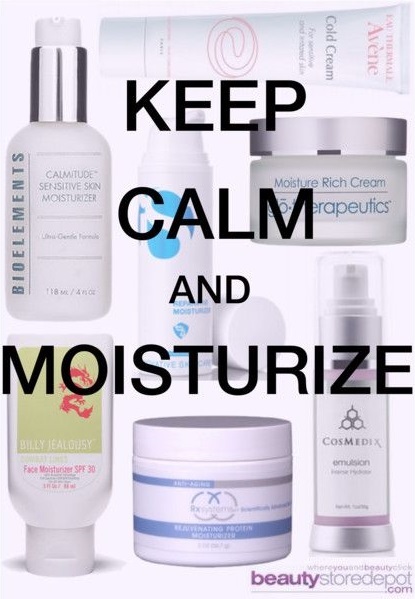 Check out a few of our new and old FAVORITE Moisturizers! Avene Cold Cream - Avene is a wonderful product for anyone with sensitive skin and this product is especially fantastic for those with extremely dry, cracked skin or eczema! At a great price for $20! Bioelements Calmitude Sensitive Skin Moisturizer - Also great for sensitive skin, this cream works to strengthen skin's barrier to relieve dryness, redness and irritation. iS Cosmeceuticals Reparative Moisturizer - This beauty will smooth, hydrate, repair, AND PREVENT DNA damage! glotherapeutics Moisture Rich Cream - Great cream to use day or night that isn't too heaavy, little aroma, and works! Billy Jealousy Combat Lines Face Moisturizer - This is a Triple-Hitter! It provides you with your daily SPF protection, Hydrates, AND Fights Lines and Wrinkles all for the astonishing price of $38! Rx Systems Rejuvenating Protein Moisturizer - Fight fine lines and wrinkles while getting completely hydrated! This product is a great option and can be used both AM and PM. Cosmedix Emulsion - This moisturizer will penetrate deep to provide intense hydration. It's also a fantastic option after any aggressive exfoliation or procedure.